3D Lipomed is one of the most advanced machines of its type, offering a new dimension in non-surgical fat removal, treatment of cellulite and skin tightening, in one award winning machine. Do you want to get rid of stubborn pockets of fat? Do you want to lose inches or tighten skin? If so, consider 3D Lipomed – a revolutionary NEW fat-reduction treatment. Liposuction is a procedure that helps to get rid of fat in the body. 3D Lipomed is a powerful and revolutionary new approach to liposuction which does not involve surgery. 3D Lipomed reduces body fat by destroying fat cells, instead of merely breaking them up and releasing them into the body. 3D Lipomed is the brand new 'medi' version of the popular 3D Lipo treatments, offering a new and improved update of this powerful technology. Do you want to get rid of stubborn pockets of fat? Do you want to lose inches or tighten skin? 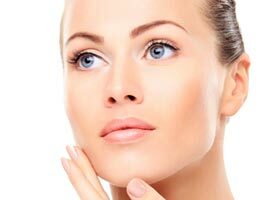 If so, consider 3D Lipomed – a revolutionary NEW fat-reduction treatment is available at the Face Beauty Company clinic. 3D Lipomed is a procedure that helps to get rid of fat in the body. 3D Lipomed reduces body fat by destroying fat cells instead of merely breaking them up and releasing them into the body. Unlike traditional liposuction, the 3D procedure is entirely non-invasive. We use various strategies – including ultrasound, radio frequency and cryolipolysis – to reduce fat without ever going beneath the skin. Furthermore, where standard liposuction requires a lot of vigorous exercise to metabolise the fat cells after the procedure, the 3D treatment gives outstanding results without any exercise at all. A full 3D liposuction treatment incorporates several individual procedures, including cavitation (which uses ultrasonic waves to break down fat cells), cryolipolysis (which freezes fat cells without affecting other body cells), radio frequency (which serves to tighten the skin) and dermology (rolling the skin to reduce cellulite). These treatments are available individually or as part of a larger fat-removal programme. What is special about the brand new 3D Lipomed machine? Launched in January 2014 and is available to Face beauty company the 3D Lipomed machine offers a highly effective, non-surgical alternative to standard liposuction, adding extra functions to 3D Lipo’s already-impressive capabilities. The 3D Dermology RF (with automated roller) and Duo Cryo features help to provide even more dramatic results. Full list of side effects, cautions and contraindications will be discussed at face-to-face consultation. Avoid consuming alcohol, caffeine, and large meals directly after 3D Lipomed treatments. Courses of at least 8 treatments are required, which will be decided during your consultation.